What will cause a temperature variation of 150° F from the front of the grid to the back? After the initial load of lump was fully lit, I put several more handfuls of fresh lump on top of them. After the add'l lump was lit, I spread it all out evenly and put my grate in the lower position. Then I placed my GrillGrates on in the inverted position so I would be using the flat side to sear the tenderloin. The dome temperature climbed to a little over 800° and I closed the vents way down to lower the temp. The dome temp settled in at about 500° about 15 minutes before the sous vide cook finished. I pulled out my IR thermometer to check temps on the GrillGrate. I was surprised to find a 150° variation from front to back - I got 575° at the front, 650° in the middle, and 725° at the rear. What would cause a variation like that? The lit lump was evenly spread out and looked to be burning evenly all around? Is this normal? 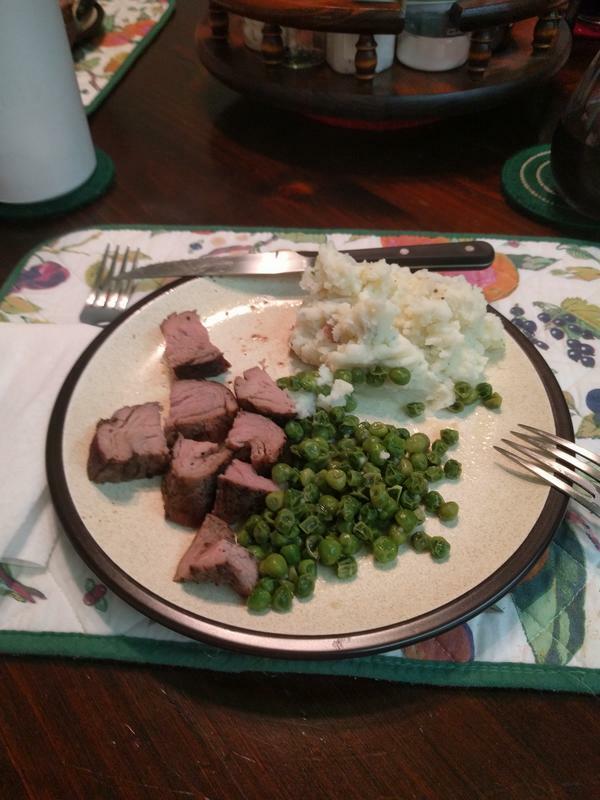 My pork tenderloin turned out PERFECT - it was tender and juicy and just a little pink inside. 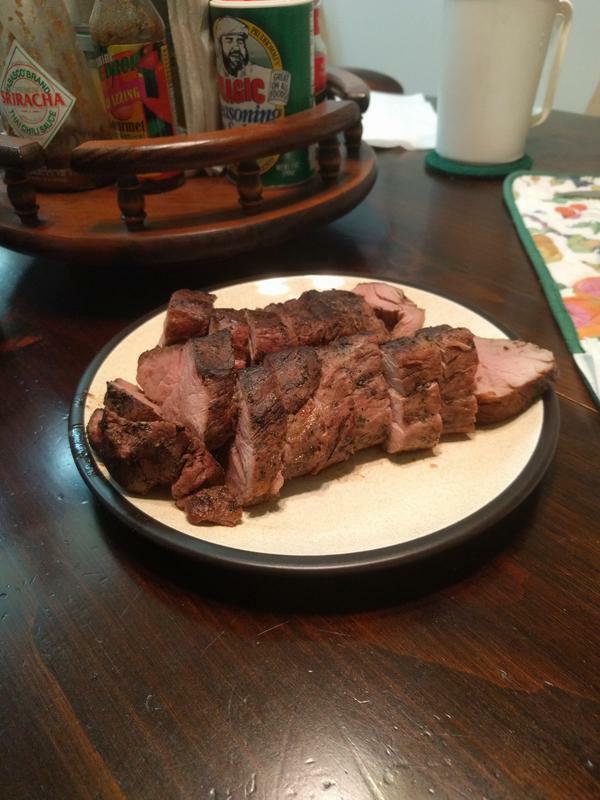 I also mixed up my own rub to put on the tenderloin while it was in the bag in the hot tub. I mixed 1 tsp of hickory smoked sea salt, 1 tsp fresh cracked Tellicherry peppers, and 2 tsp of Mrs Dash Original Blend seasoning. The smoked salt was perfect, not overpowering, but you could definitely detect the hickory smoke flavor and aroma. 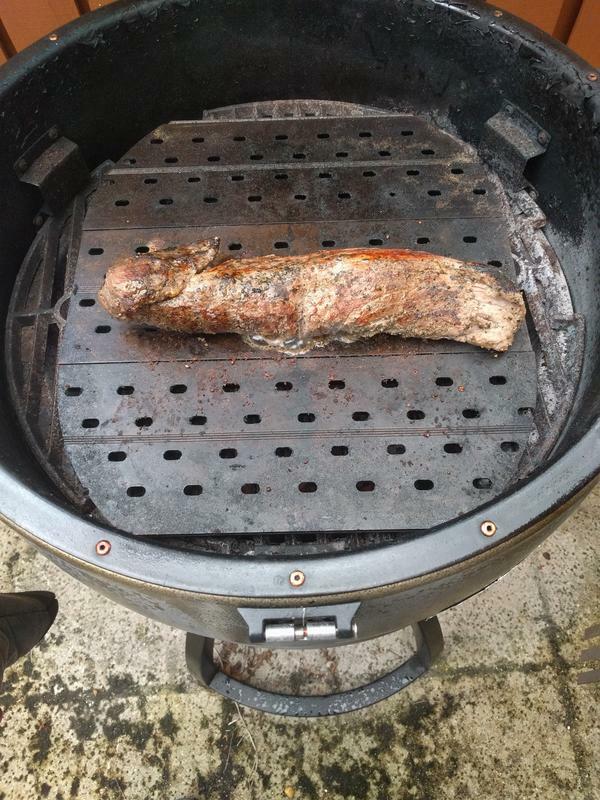 I love this Anova Precision Cooker! I can just dial-in the temp for my meats and it comes out perfect every time - no guessing! I've noticed that the temp in the rear is hotter than the front, something to do with airflow, yes it is normal. typically with the lid closed the heat would even out for the most part. When doing a brisket I always put the point towards the rear due to it being hotter. When doing a direct heat grill cook such as chicken wings, I'll rotate the grate 180* mid cook. In your case taking the temp of the grill grates, which were acting as a diffuser, amplified the difference in temp since they are three pieces. When using my baking steel, being one piece the heat evens out more. Same thing happens with mine. It's always hotter towards the back of the grill. add me to the list. back is always hotter.